Established in 2011 by Tim Chase & Peggy Unger, we have been able to show consistent growth for our manufacturers in each successive year. We have a strong culinary & sales team who is dedicated to providing support, and knowledge of trends & products to our customers. Foodservice has been an arena that most everyone in our company has been involved with much of their adult careers. For our chef’s, it’s an opportunity to share knowledge and assist with creative inspirations. Overall, foodservice is a much more personal, hands-on segment of the business that we all find most satisfying in our day-to-day operations. With our combination of culinary sales experience, market knowledge, and strong local relationships we can deliver the results to your company! 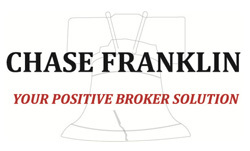 Chase Franklin is the perfect team to represent those manufacturers who continue to put a priority on SERVICE- QUALITY- INTEGRITY- VALUE. These manufacturers still recognize the importance of the local distribution partnership and the need to collaborate with the distributor but with an emphasis on the operator. The 50+ combined years of experience and knowledge is the foundation for our go-to-market strategy. We work productively through distributors, DSRS and operators. Operators are ultimately the key to our success. We maintain a comprehensive current list of local and regional operators which we utilize daily.